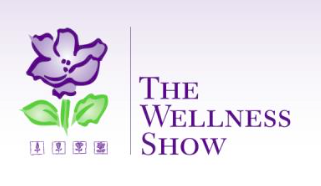 I had a great day wandering the Vancouver Wellness Show and came home with a bag of goodies to share. That’s the sign of a successful tradeshow visit, isn’t it? Well not exactly, but getting free stuff always feels good. Which is what promotions people are counting on, that the goodwill of getting free stuff will make you feel good about the products they are promoting. But even at an event called The Wellness Show you really must keep your wits about you. I’ve had more than my share of digestive and related health issues so I take pretty good care of what I put in my body. And as a former marketing and business consultant, who believes that marketing CAN be used for good, I’m pretty hip to the hype. Fancy food packaging doesn’t mean what’s inside is a quality product. Really, who’d be surprised at that? BUT when you’re in a rush and hungry, making quick decisions because that’s all you have time for, branding and packaging can guide you to making choices that are not in the best interest of your and your loved ones’ health. And that’s what some folks (not all folks) are counting on. Here’s an example that makes me crazy, Preventia French Vanilla cookies, which I received as a sample at the show. I did an informal survey, asking a number of friends and acquaintances what the name “Preventia” in relation to food indicates to them. 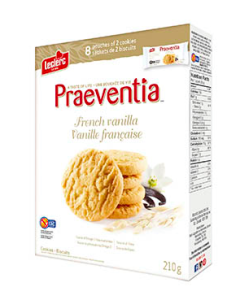 All said something along the lines of “preventing something bad, like disease.” Preventia is, in fact, a brand of regular, run-of-the-mill cookies. There is absolutely NOTHING healthful about them. In fact, the only thing they may prevent is health and wellness. Direct from the Leclerc Preventia website. Did I mention? This stuff really, really makes me crazy. It’s false advertising, in my books. Misrepresentation at the very least and highly dishonest, with health repercussions over the long-term because it misleads and poorly educates consumers. It amazes me is that Health Canada lets that kind labeling pass inspection. But they regularly do. Leclerc, makers of Preventia, are not alone in the highly misleading way they represent its products. There are a number of brands identified as being highly misleading and this is a far from exhaustive list. The old adage of buyer beware certainly applies to food, especially healthful food. If you value your health, make sure you read the label before you buy. Now you get a sense of why I prefer to eat whole foods–food that haven’t been highly processed–and to make the food I eat from scratch. PS: No, I didn’t eat the cookies, they ended up in the compost. Technically food, not healthful in that form.